It is just past midnight here and the new year has begun. The date right now is 1/1/11. I expect this new year will be just as wonderful as my previous 48 upon this earth. 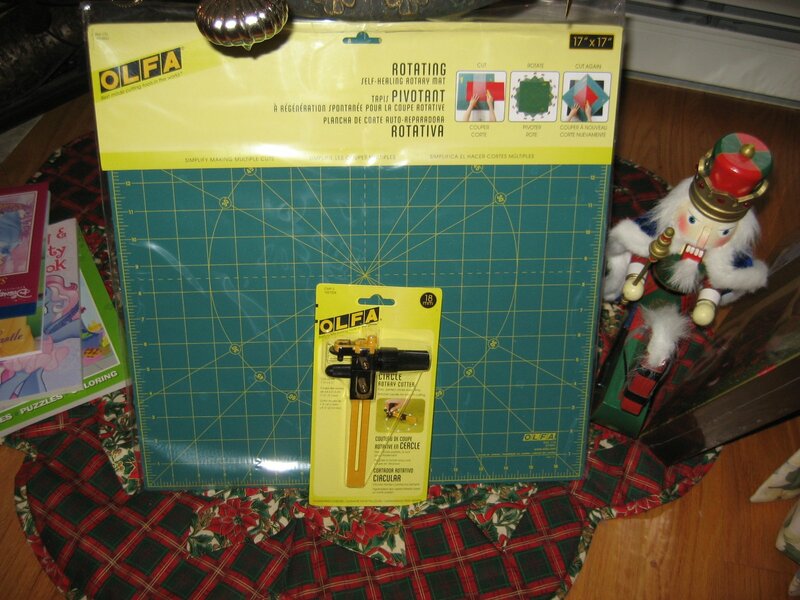 Do you know what those two Olfa items are? The mat is a 17 inch rotating mat...cool, huh? 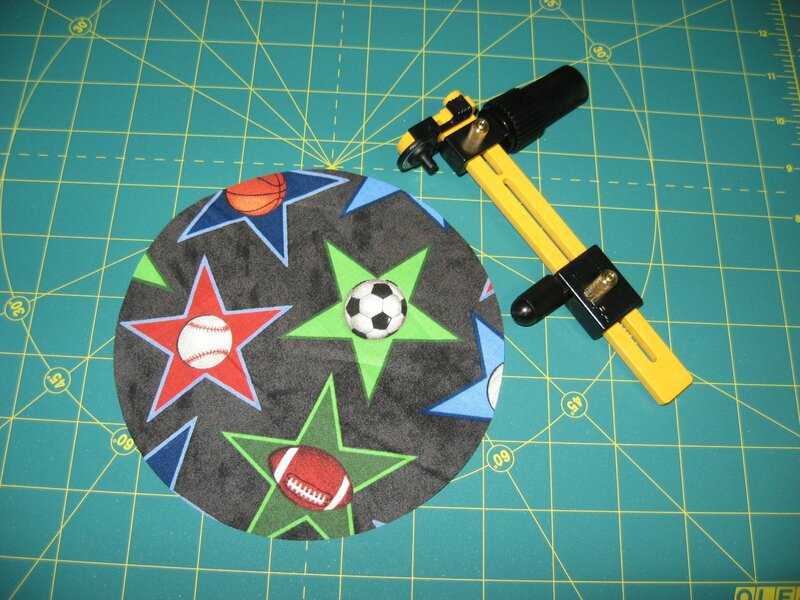 And the tool is a circle cutter that is so much fun to use! It's like one of those compasses we used to have to bring to school but never used but once or twice, only instead of having a stubby little pencil at the business end of it, there is a tiny little rotary cutting blade. That is my very first circle cut with my new circle rotary cutter. So perfect! I can't wait to come up with a project that requires lots of fabric circles! I also have used the rotating mat already to trim a quilt block. It's so nice to leave the block in place and just spin the mat...makes for much more accurate trimming. Now I'm off to the snore shelf. I'm losing beauty sleep as I type! Can't have that! I have the rotating mat and I LOVE it (I wonder how I ever got by without it :)) Happy New Years and Happy Holidays to you! Happy new year to you too! Nice gifts you have got, it will be exciting to see the circle projects! Happy New Year! Have fun making circles!!! What fabulous gifts you received!! 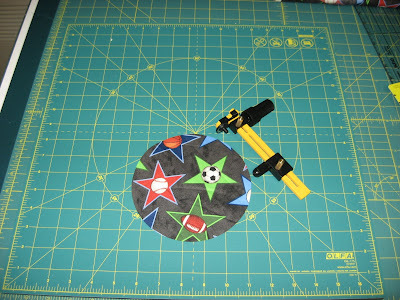 I have been eying that rotating mat for a some time now, nice to hear that you are happy with it. Have lots of fun cutting out circles, and I am looking forward to see what you will create with them!